HAVANA — Cuba presented its most detailed defense to date against U.S. accusations that American diplomats in Havana were subjected to mysterious sonic attacks that left them with a variety of ailments including headaches, hearing problems and concussions. In a half-hour, prime-time special Thursday titled "Alleged Sonic Attacks," Cuban officials attempted to undermine the Trump administration's assertion that 24 U.S. officials or their relatives had been subjected to deliberate attacks by a still-undetermined culprit. Many officials reported being subjected to loud, grating noises before falling ill. The U.S. has not accused Cuba of carrying out the attacks, but says that Cuba has not met its obligation to protect diplomats on its territory. The television special pointed out what it alleged was a lack of evidence for the U.S. accusations. It argued the United States had failed to show that such attacks had actually occurred because it had not given Cuba or the public access to the testimony or medical records of U.S. officials who reported attacks, despite three visits to Cuba by U.S. investigators in June, August and September. "The members of the U.S. delegation said they don't have evidence that confirms that these reported attacks occurred, and brought up that there was no working theory about the cause of the health problems reported by their diplomats," the program's narrator said. The narrator said Cuba had undertaken an exhaustive investigation ordered by "the highest government authorities," a clear reference to President Raul Castro. Cuba did not possess any technology capable of carrying out a sonic attack and importing it was prohibited by law, according to the special. "Its entering the country could only take place illegally," the narrator said. The creators of the report interviewed neighbors of the affected diplomats who said they had not heard any strange sounds or suffered any symptoms, which the special presented as another purported weakness in the U.S. allegations. The U.S. State Department declined to comment at length on the Cuban critique, saying Thursday that "the safety and well-being of American citizens is our top priority. ... We are continuing our investigation into the attacks, and the Cuban government has told us they will continue their efforts as well." 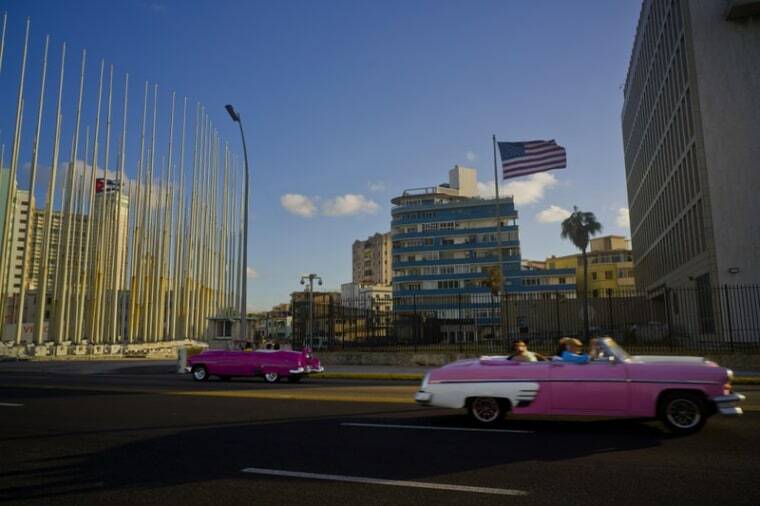 The U.S. has cut staffing at its Havana embassy by 60 percent in response to the incidents, expelled Cuban diplomats from the embassy in Washington, issued a travel warning for Americans going to Cuba and stopped issuing visas for Cubans in Havana. The measures have sent U.S.-Cuba relations plummeting from a high point under President Barack Obama and cut into the increasingly important flow of tourists to Cuba, whose economy went into recession last year for the first time in more than two decades. Thursday night's special did not present an alternate explanation for the facts presented by U.S. officials, with one significant exception. Officials with Cuba's Interior Ministry said that U.S. investigators had presented them with three recordings made by presumed victims of sonic attacks and that analysis of the sounds showed them to be extremely similar to those of crickets and cicadas that live along the northern coast of Cuba. The program's narrator said that unnamed "North American researchers" had found that some cicada and cricket noises could be louder than 90-95 decibels, enough to produce hearing loss, irritation and hypertension in situations of prolonged exposure. Cuba said it had reported its findings on the similarity of the recordings to cricket sounds, and the U.S. had not responded. The special's narrator said U.S. diplomats continued to travel around Cuba after the incidents began to be reported, and there were requests for dozens of visas for visits by friends and family, something the narrator said undermined U.S. allegations that the diplomats were not being kept safe in Cuba.